Jordan Bollhofer has no excuses! 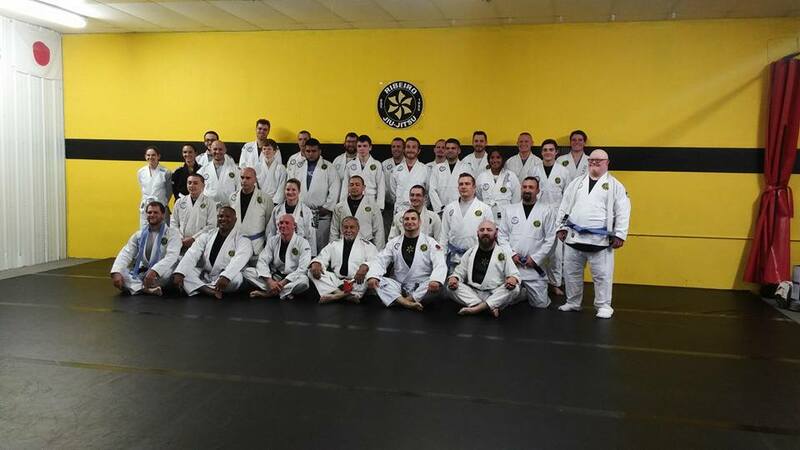 The BJJ student who trains at Relentless Brazilian Jiu-Jitsu in Warsaw, Indiana, has won two NAGA belts and numerous awards from other competitions…and he has done it all while battling Down Syndrome! Recently, Head Instructor David Sumpter, had the honor of rewarding Jordan for all of his hard work by promoting him to blue belt. «I wanted to share a story about one of my students. His name is Jordan Bollhofer. He has been attending classes with us since December of 2009. Jordan started off taking Zanshindo / Mixed Martial Arts classes where he has achieved the level of Brown belt / Green shirt. He has competed in multiple grappling tournaments. His fruition of these events have left him with Two NAGA title belts and numerous battle axes from extreme grappling open (EGO) events. This man is an inspiration to everyone here with his family. He shows that Jiu-jitsu is truly for everyone with his positive attitude, attention to detail and always trying to get actively better each day. He fights multiple battles, one is with jiu-jitsu being hard and the other is that Jordan has Down- Syndrome, but he does not let that stop him. He keeps fighting and improving daily. He has taught me that we as a society need to help people overcome learning disabilities by trying new things that challenge us and have people that are willing to help with the hard times instead of running from them».